Another 78 wins & 57 nominations. First of all, I strongly disagree with any assertions that Frozen hearkens back to the great Disney films of the late 80s and early 90s. The music is nowhere near that level, and the storytelling is not nearly as sharp. Even suggesting that this is the best *since* The Lion King rings false with me. I have not seen every Disney film of the past twenty years, but offhand I can say that Tangled, Bolt and Meet the Robinsons are all far superior examples well-written stories than Frozen. In my personal opinion, of course. 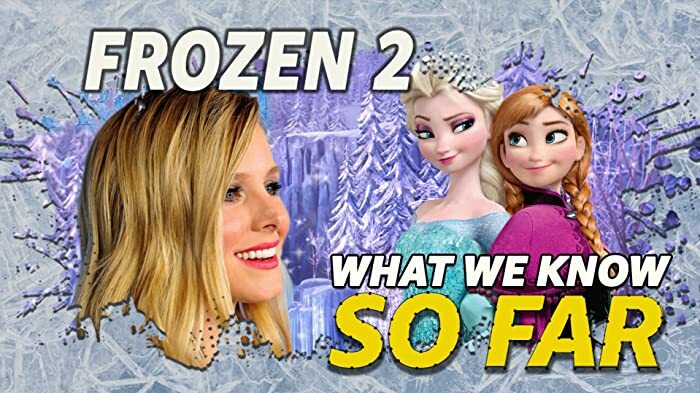 Second of all, Frozen definitely skews towards the younger crowd, with little to none of the sophisticated touches or wittily mature humor that have come to be somewhat more commonplace in recent animated films. This one is aimed at the pre-teen crowd. Not that that is necessarily a bad thing, but it is worth noting. The overall story is an interesting one, but the execution is rather sloppy and the narrative meanders a bit too much. The dialog, in particular, is not a strength. 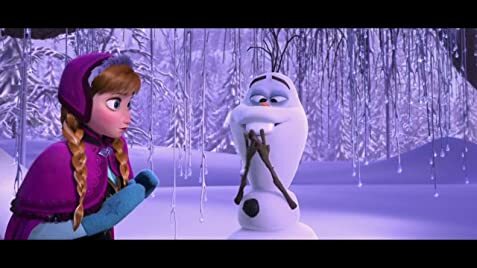 Unlike the best films, in which every line and every scene feels both essential and perfect, Frozen is more of a loose joyride. Again, there is nothing inherently wrong with that approach, but in my personal estimation, it earns lower marks as a storytelling method. The songs are for the most part unremarkable, and some of the musical sequences suffer from not fully committing to dialog or singing. They just feel hastily-choreographed and not fully thought out. And do not even get me started on the troll song. Yikes. Two of the songs, "Do You Want to Build a Snowman" and especially "Let it Go," do work very well. The latter ties into what is unquestionably the best scene in the film on every level. It provides the one glimpse of true majesty, the sort of quality that would explain all of the extremely positive "this is the greatest" reviews that are being posted by others. Unfortunately, the film descends most of the way back into mediocrity after that scene. On the positive front, however, Frozen offers a fantastic, gorgeous take on the visual elements of winter. Deep blue ice, snowflakes, white mountains contrasting with colored skies. It is an unspeakably lovely display of a subject matter than CGI animation has never (in my experience) turned its energies to before, at least not like this. Of course, it goes without saying that all of the animation in Frozen, characters and landscapes alike, is excellent. For me, Tangled was much more satisfying than Frozen. I applaud Disney for honing their CGI skills, and for finally adapting The Snow Queen to screen. I just wish that they would have spent more time on the script. With films like this one, a distinction needs to be made between loving it for the visceral takeaway ("it was sweet"/"it had a great message"/"it made me feel good") and looking at it from a critical standpoint. Now, I understand that one needs to just "forget about being critical" and enjoy a film - for me, the best films take care of that themselves. It is the ones, like Frozen, that seem like they clearly could have been much better, that get me thinking about just that. This film is a fun one for kids, and great to look at for adults, but it is far short of being great, or a masterpiece. More focus on an truly excellent story, and it might have been. A live reindeer was brought into the animating studio for animators to study its movements and mannerisms for the reindeer character, Sven. Co-director Jennifer Lee said it was the best moment during production for her. Young Kristoff: Come on, Sven! Young Anna: Elsa, psst! Elsa! Young Anna: I just can't! The sky's awake so I'm awake. So we have to play! Young Anna: Do you want to build a snowman? Anna is shown from the front as she ascends an ice staircase inside Elsa's ice castle. 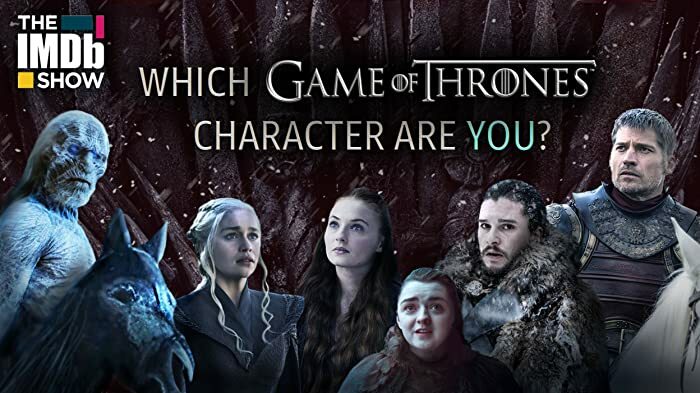 There are giant ice pillars to Anna's right and left. They should reflect the side of her face, but instead the reflections show her face from the front. Near the end of the credits the following disclaimer is included: "The views and opinions expressed by Kristoff in the film that all men eat their own boogers are solely his own and do not necessarily reflect the views or opinions of The Walt Disney Company or the filmmakers. Neither The Walt Disney Company nor the filmmakers make any representation of the accuracy of any such views and opinions." All video releases are presented in an unusual 2.24:1 aspect ratio which closely matches that of Technirama and 70mm film. This is because the film was created with 70 mm Todd-AO in this ratio.